Listed amidst the reliable names hailing from Nagpur(India), we deliver top-notch quality products. Packaging of products is as important as designing and manufacturing, and we have upgraded machines, assistance of our packaging experts to meet the standard as well as tailored packing needs of the clientele. 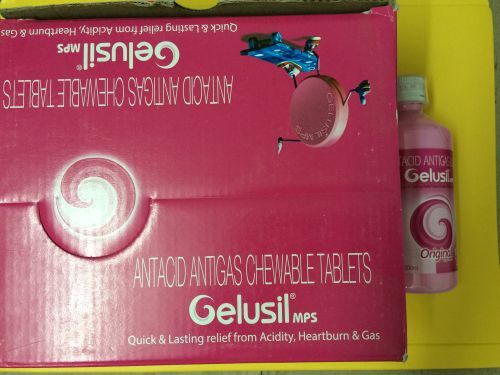 Our chewable Gelusil tablets give instant and lasting relief from acidity, heartburn and gas.